An award winning strategic board game with stunning art work, for 2-4 players aged 10 plus. The playing time is around 30 minutes. Players must work together and race to collect treasures, complete tasks and missions before the Fobidden Island sinks. If the players are not strategic enough and the island sinks before the tasks are completed, then the mission ends in defeat for all the players. 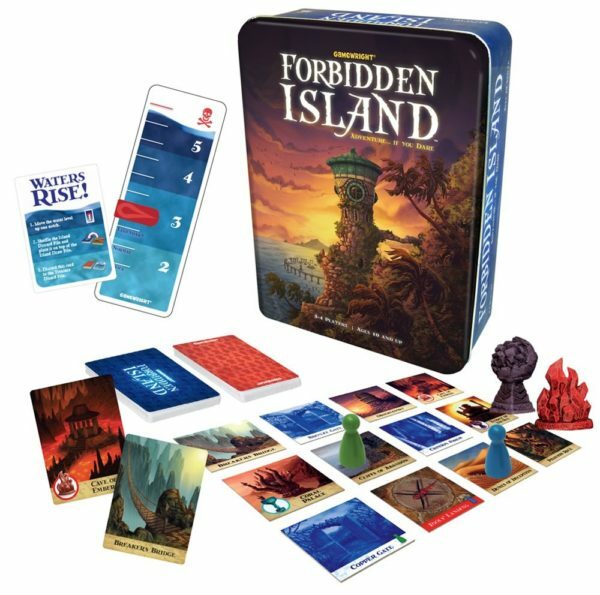 Once the four treasures of the Forbidden Island are collected the players must get to the Fool’s Landing and escape via helicopter to win.